The Korean electronics giant Samsung launched its Galaxy Note tablet device two months ago. A recent statement from company claims that it has shipped over one million units of its tablet device all globally. The company also announced that the device will soon hit the shelves in United States. 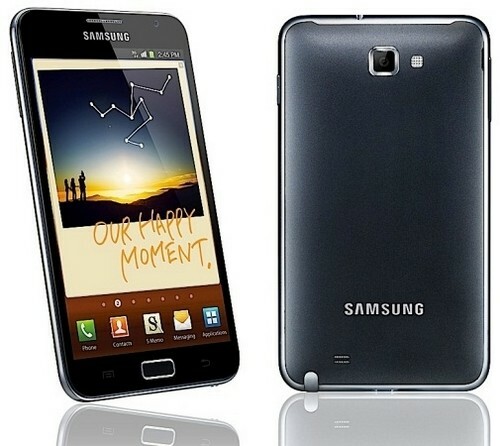 The Korean company announced its 5.3-inch smartphone running Android 2.3 (Gingerbread). It is as big as a tablet. The device also features a stylus pen for taking notes and drawing. The device is also enlisted for an upgrade to Ice Cream Sandwich (Android 4.0) early in 2012. In a press release, Samsung, the Korean electronics giant claims that the sales of its Galaxy Note are increasing in Asia and Europe, especially in Taiwan, Hong Kong, Germany and France. It is important to note here that the current figures announced by Samsung only represent the number of units it shipped, however, the company has not yet disclosed actual sales numbers of its Galaxy Note.